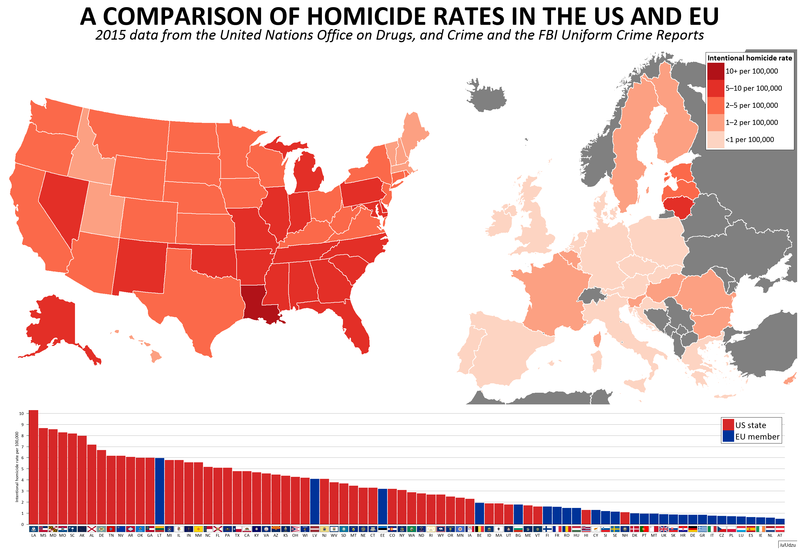 Homicide rates – Number of intentional homicides per 100,000 population per year. 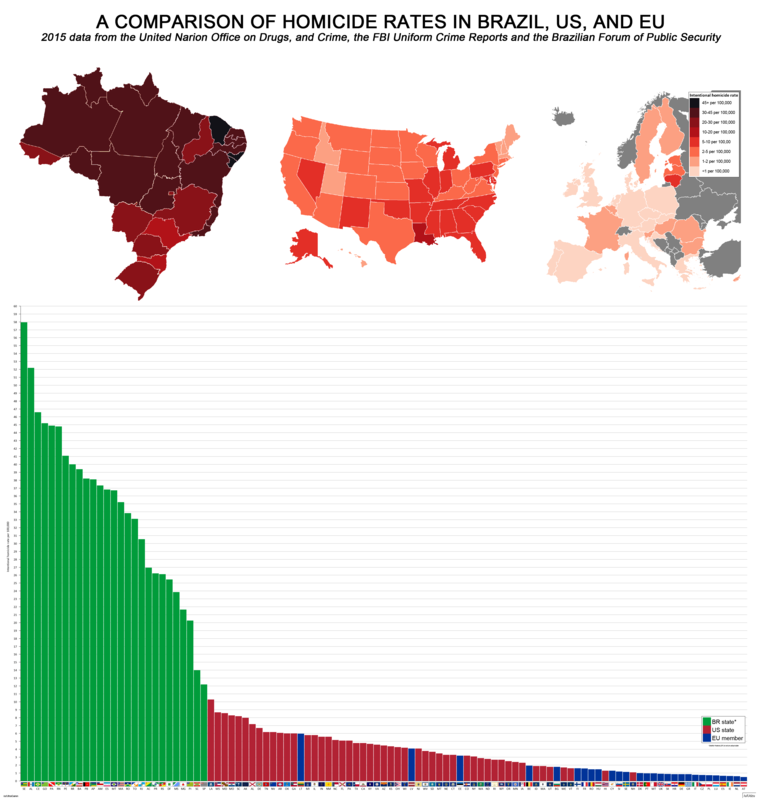 The most dangerous country to live in the world is Brazil. Brazil has nearly 60 thousand murders a year, as many as the United States, China, all of Europe, Northern Africa, Japan, Indonesia, Australia, Canada, and New Zealand combined.